Sure, everyone has a cookbook nowadays. Popular books (I admit to having the Harry Potter Cookbook), movies, and television shows are slowly trickling to the kitchen. It's possible to cook like Mrs. Patmoore from Downton Abbey. Perhaps you get a kick out of creating the perfect ziti from the Sopranos kitchen. But nothing could have prepared the world for a WWE cookbook. Step into the ring and put on your best spandex, it's time to figure out what the Rock is really cooking. Surprisingly this isn't the first time the WWE has released a cookbook. The brand has released Can You Take the Heat? : The WWF is Cooking! and J.R.'s Cookbook: True Ringside Tales, BBQ, and Down-Home Recipes with Jim Ross in 2002 and 2003. 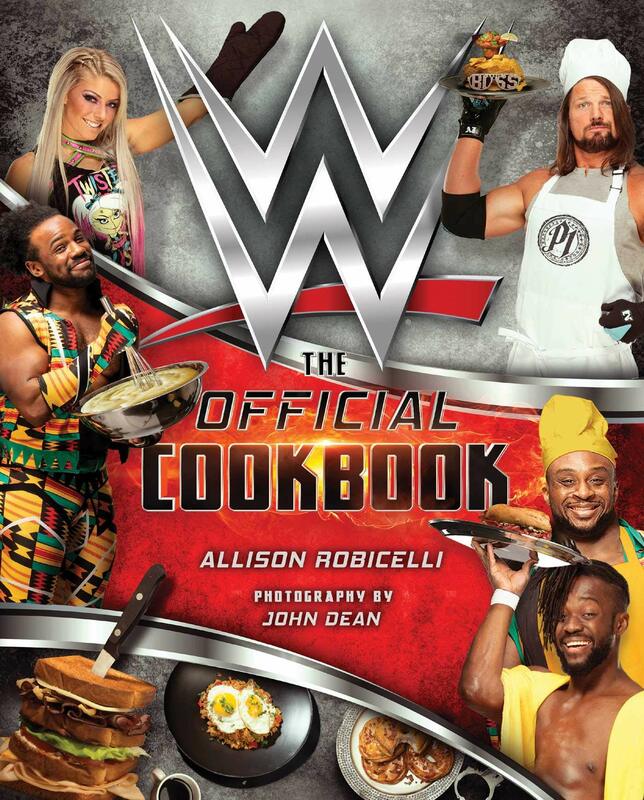 Featuring more than 75 mouthwatering recipes and full-color photographs, the WWE: The Official Cookbook includes a variety of fun dishes and drinks including recipes like The Rock's Jabroni Macaroni Salad, John Cena's Fruity Pebble treats, and Nacho Man Randy Savage. The ultimate recipe collection is broken into separate categories, making it easy to find the perfect recipe to make during Wrestlemania. The cookbook is a collaboration between World Wrestling Entertainment and publisher Insight Editions, who has published books for popular shows Game of Thrones and The Walking Dead. And don't fret, this cookbook includes recipes inspired by all of your favorite WWE superstars, not just the current wrestlers. While the collection of recipes aren't directly from the pro wrestler's private kitchens, they are carefully crafted by James Beard-nominated author and food writer Allison Robicelli. Each recipe has that special something to connect it to the ring, whether it be Big Show's World's Largest Pancake to N.W.Oatmeal. Should you buy this new cookbook? In the words of Daniel Bryan, "Yes. Yes. Yes!"